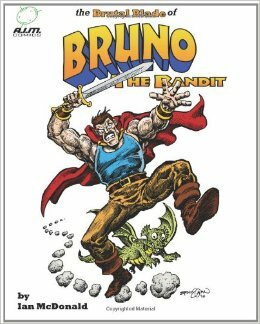 Now Available: The Brutal Blade of Bruno the Bandit Vol. 6! I have several concurrent problems that gelled together in an odd way for me. I am a voracious reader. To say that I read a lot is like saying that Niagara Falls is bit damp. Thanks to e-reading apps and services like Project Gutenberg, Kindle and Archive.org, I am never without a library of books on my person, and will whip out a book at the slightest provocation, regardless of context or company. That's not the problem. 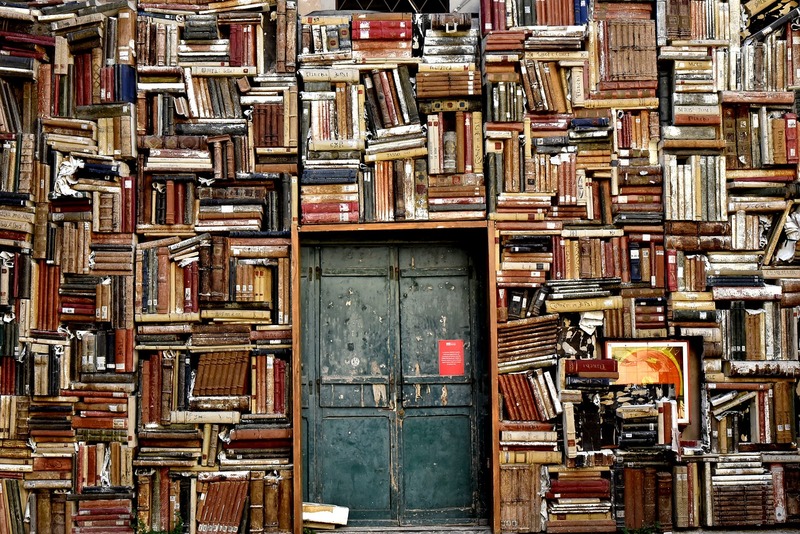 The problem is that lately I've found a lot of my reading is rather pointless. I tend to stick to the same genres - horror, science fiction, true crime, with a smattering of fantasy - with a slight ratio of nonfiction so I don't feel like I'm completely wasting my time. After a while, the titles, characters and plots all sort of run together so that none of it sticks, and very little of it stands out. I can't help but think that something that takes so much of my attention should have a little more meaning - or at least direction - behind it. A related problem is that I have a long list of "someday" books that I've been meaning to get to - books that I know I should read but always pass over in favor of something much easier and much more disposable and forgettable. I've no doubt that these books will prove enlightening in some way, but always seem to be less entertaining and more difficult to process. Less related are the problems of social media and attempting to supply content for a website/blog. I have accounts on Facebook, Twitter and Tumblr that hardly see any use, like I've shown up for the party but have decided to just stand in the corner all night, nursing an Aquafina and admiring the wall art. Additionally, the AIM Comics blog hardly ever sees updates any more, due to the slow production cycle of just about anything I am not being directly paid for. So, partly inspired by the great rereads I follow on Tor.com, partly by some comments about Gravity's Rainbow heard in a recent Marc Maron podcast, and by my own lack of literary intertia, I've decided to challenge myself to read the unreadable....to conquer the important bits of my "Someday" pile by reading the books that are considered to be the most challenging to even experienced readers. 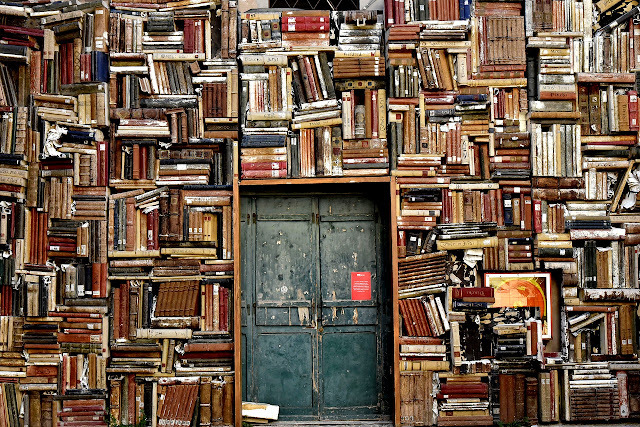 The books that everybody talks about, but no one has read, or at least not finished. I'm going to take a run at them, provide some direction to my reading habit and broaden my literary horizons in one fell swoop. More than just that, I'm going to commit the possibly unforgivable crime of doing this in public (gasp!). I plan to tweet about the books as I read them, and to write up commentaries about them here as I finish them. The idea is that the process will give a little bit of accountability to this habit I'm trying to change, and hopefully provide some interesting reading for others at the same time. If this goes well, I might be inspired to do some of the other heavy reads I've been planning, such as the complete works of Robert E. Howard and Isaac Asimov, just to name a couple. So if you're interested in finding out what I think of Finnegan's Wake, or Gravity's Rainbow, or a host of other "unreadable" books, be sure to follow me in (more or less) real time on Twitter, check out my posts on this site, or follow me on Facebook. Feel free to post comments to tell me how I've missed the point of each book (I never said I was going to UNDERSTAND these books!) or how I should go back to Little Golden Books, or (less likely) how the depth of my insight has opened your eyes to new vistas of literature and inspired you to shout James Joyce's name from the rooftops. Speaking of James Joyce, I'll be starting with "Finnegan's Wake", so we've got that to look forward to. There may or may not be whiskey involved in the reading process. Follow along and see if I can manage to hold it together enough to get through this exercise. 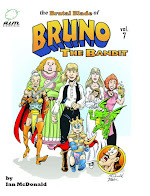 Bruno the Bandit on Comixology! Get the Latest Brutal Blade! 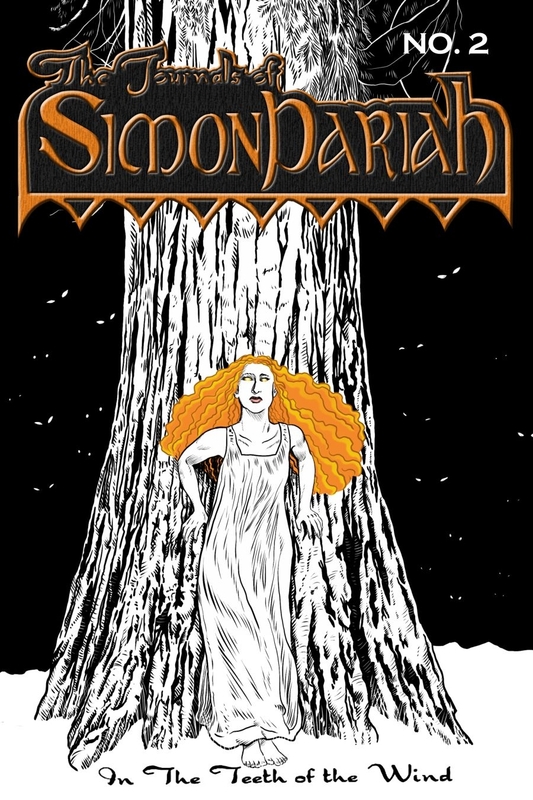 Get Simon Pariah in Print! The Journals of Simon Pariah Webcomic!